We were delighted to assist our young clients as they purchased their first home in Golden Valley, MN. They didn’t think they could afford a single family home, but we sat down with them and crunched some numbers. Imagine their surprise to learn that owning a home was within their budget! 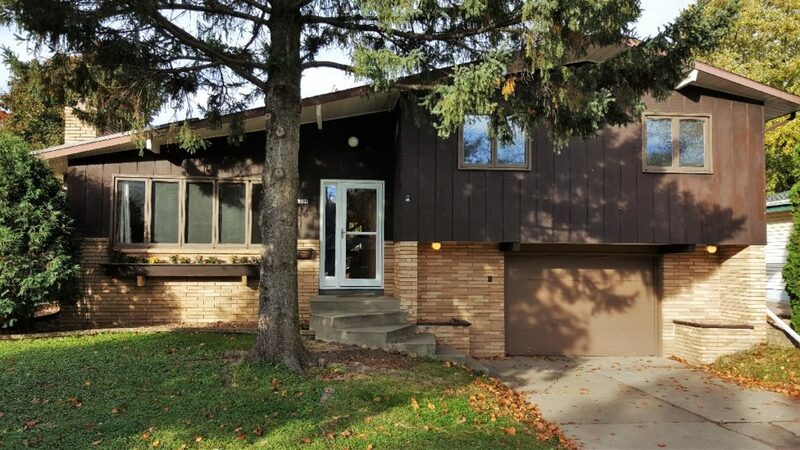 This lovely mid-century split level offers vaulted ceilings and a great floor plan. They plan to tackle a few projects to make it their own. You may be as surprised as these clients to learn how much house you can afford. We invite you to go to our Buyers page to search for homes for sale and to receive automatic email alerts when homes that meet your criteria hit the market. When you Search for Homes for Sale in the Twin Cities on our website, you are connected directly to the Twin Cities MLS, so you get the same current and accurate real estate information as a Realtor! We offer FREE classes for First Time Home Buyers, where we go over all the things you need to know to be an educated home buyer in either Minnesota or Wisconsin. Click HERE to Sign Up! John and Becky are licensed in MN & WI, and serve first time home buyers in Woodbury, Stillwater, Oakdale, Maplewood, Lake Elmo, Lakeland, Afton, and surrounding communities in Minnesota, and Hudson, River Falls, Prescott, Somerset, and Roberts in Wisconsin. "Working with John and Becky Durham was enjoyable. Time after time they dropped everything and showed us properties throughout the Twin Cities. The transaction turned difficult but John stayed the course... continued"